It seems extremely well made in general, especially for a .5 alpha? Anyways, it lets you remap gestures (and adds tons of new ones too). The program comes with another awesome perk: maximizing windows like in windows 7: drag a window to the top edge and it will maximize. I’ve set my four finger swipe left / swipe right to move spaces left /right. I have my spaces set up in 1 row, so that’s all I need. Super useful! Looks like it’s robust enough to handle any keyboard shortcut! 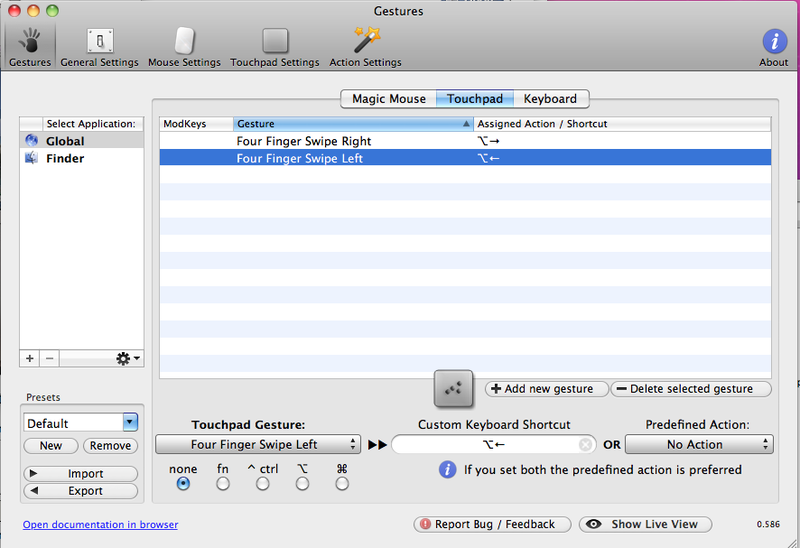 Remember to disable the default multitouch swipe you’re replacing, or you’ll get buggy results. Troubleshooting: Note that when you launch it, it may open a warning dialog saying you need to turn on the accessibility API. I couldn’t find it (was in space 1) and thought it was broken. 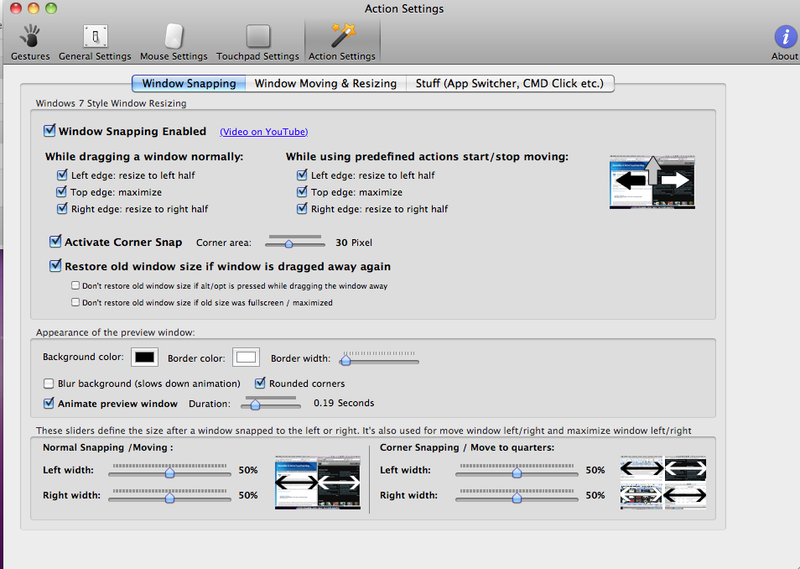 Awesome windows 7 like window snapping features. My favorite is being able to drag towards the top to maximize, but have the window REVERT to the original size when moved. Install the app and the settings are under “Action Settings” in its preference panel. Found a great little extra here – I didn’t even ask for it! I bought the 17″ Macbook Pro, and the screen is too big to comfortably navigate with even the max track speed in the preferences. 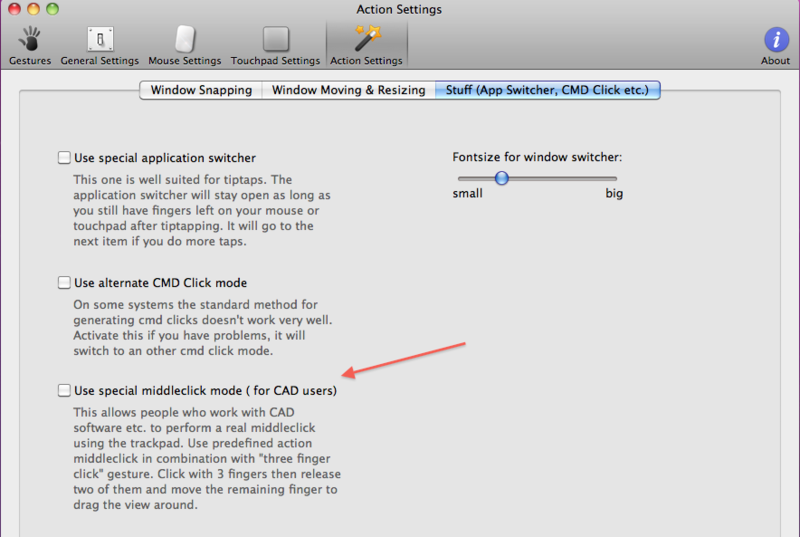 Luckily, this same program fixes nearly everything I dislike about the default mac settings. And I didn’t even ask for it. 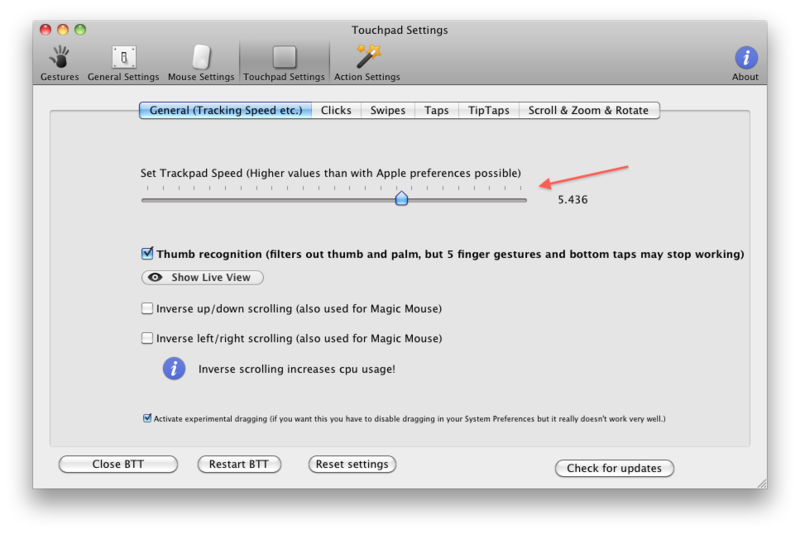 Pingback: Mac — Remove Touchpad Drag Delay with BetterTouchTool (free) « The Great Magnet. What a fool I was to defy him.